Research demonstrates that the single most important factor determining how much students learn is the quality of their teachers. 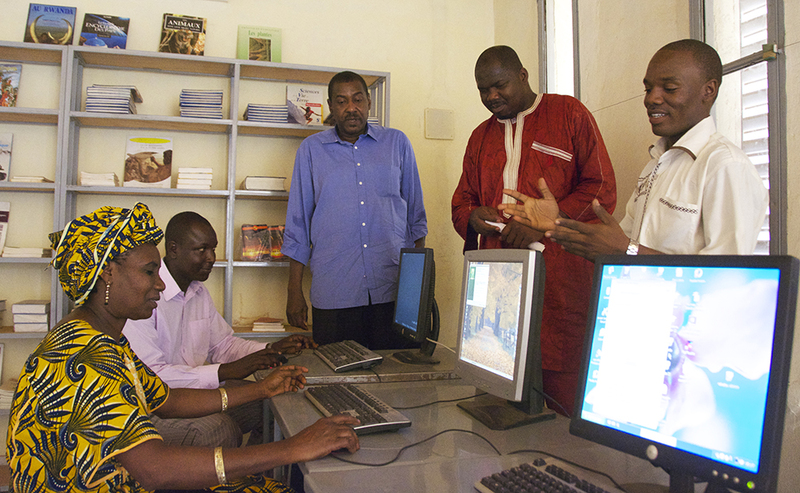 Since 2007, Hampaté Bâ has addressed the crucial need for an on-going teacher development program by offering a transformational professional development program to its entire staff as well as to teachers from other educational institutions in Niamey, Zinder and Kirtachi. Presently, around 30 teachers take part in the peer-led study circles the school organises every month, learning from and with each other. The demand for and potential of a highly focused and sustained professional development to improve student learning are so great that Hampaté Bâ has decided to give it more emphasis by opening and running a Community Teaching and Learning Centre. The Centre will offer an on-going practical, local, high quality, and flexible post-initial training for teachers already active in schools. Partagez notre joie ! Share our happiness ! Notre lycée est désormais ouvert ! Our high school section is now open!